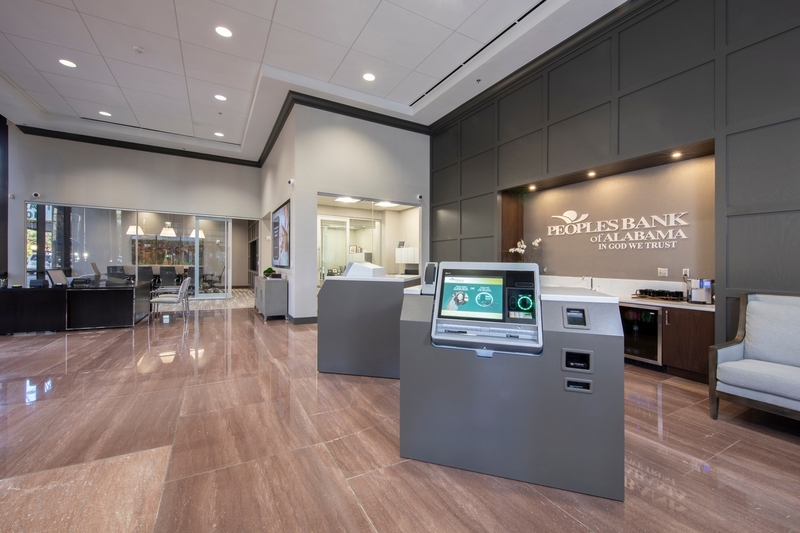 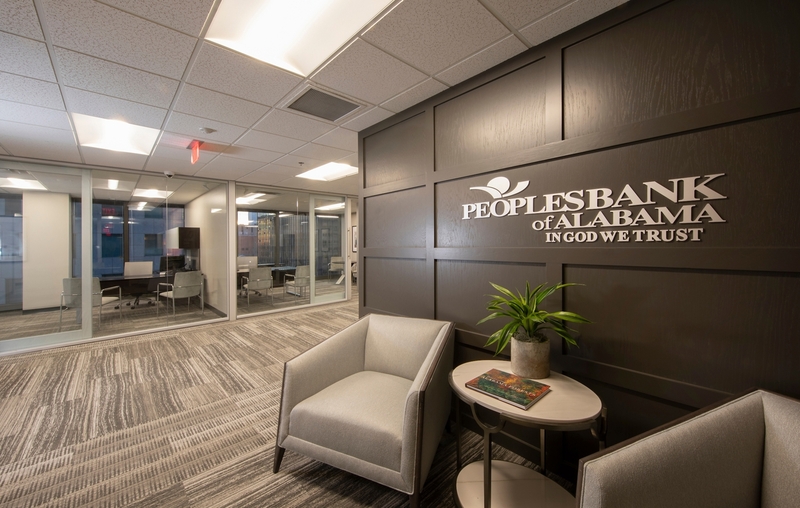 To establish a strong presence for People’s Bank of Alabama on the high-profile financial corner of Birmingham’s Central Business District, the KPS interiors team engaged Bank representatives in a collaborative exploration of customer interaction, privacy, security, workflow, and the aesthetics of core values and brand messaging. 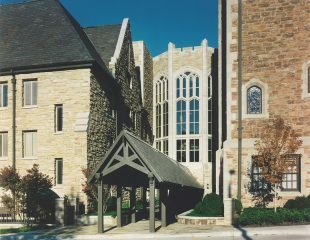 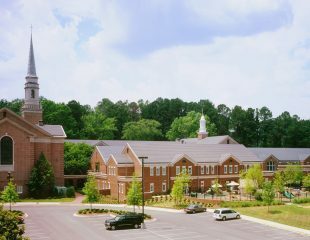 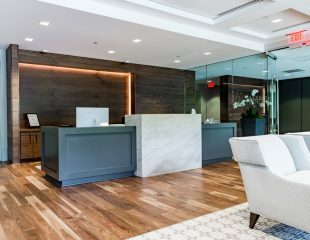 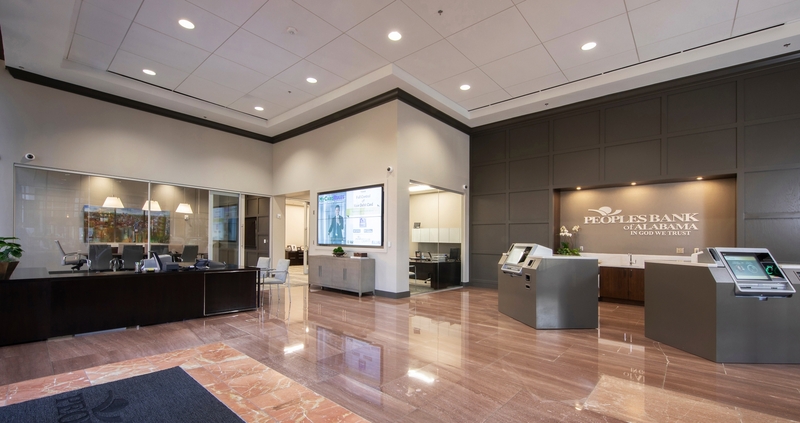 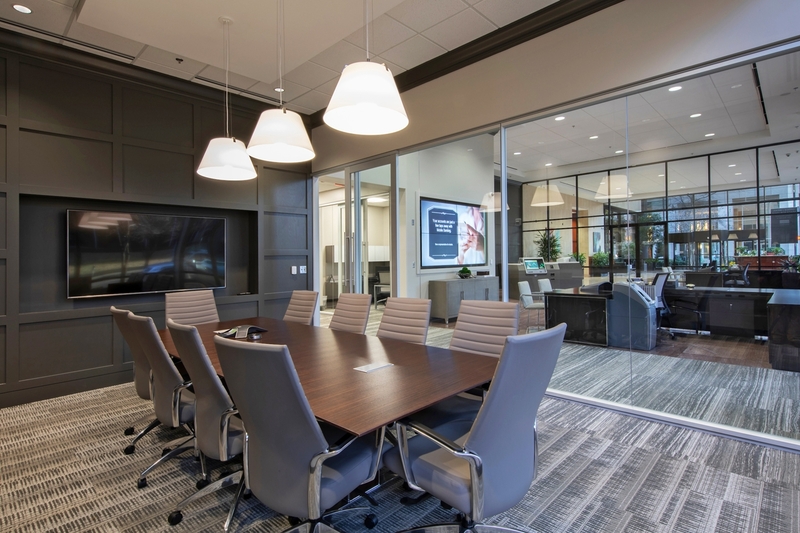 The Bank has described the resulting 6,700sf space as unique when it comes to a cross-functional banking environment, with its focus on collaboration, teamwork, and efficiency. 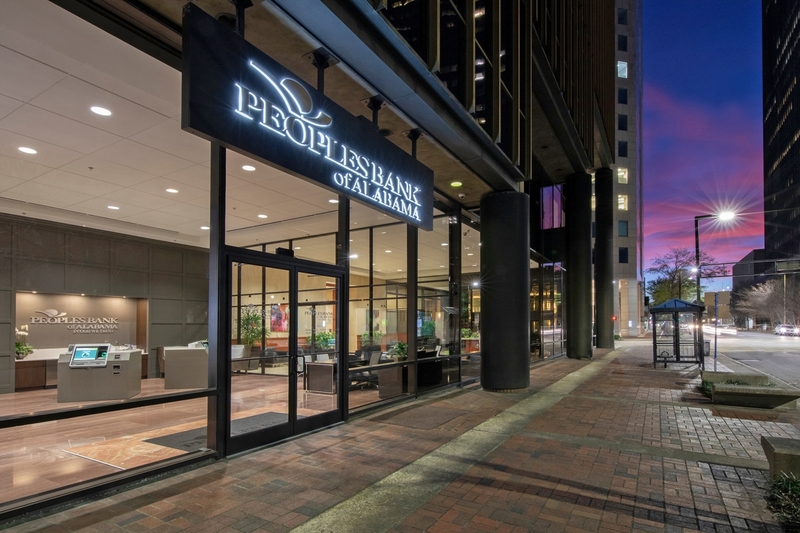 It was critical that the 2,600sf commercial branch, highly visible to street traffic, create a distinctive identity for the Bank. 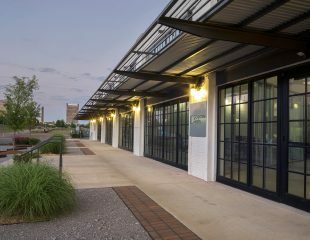 Connected to the main lobby of The Plaza, the lobby of the full-service branch ties seamlessly to the building lobby by carrying through its existing ceiling and flooring elements and replicating its storefront glass, while separating itself with a harmonious yet more contemporary palette. 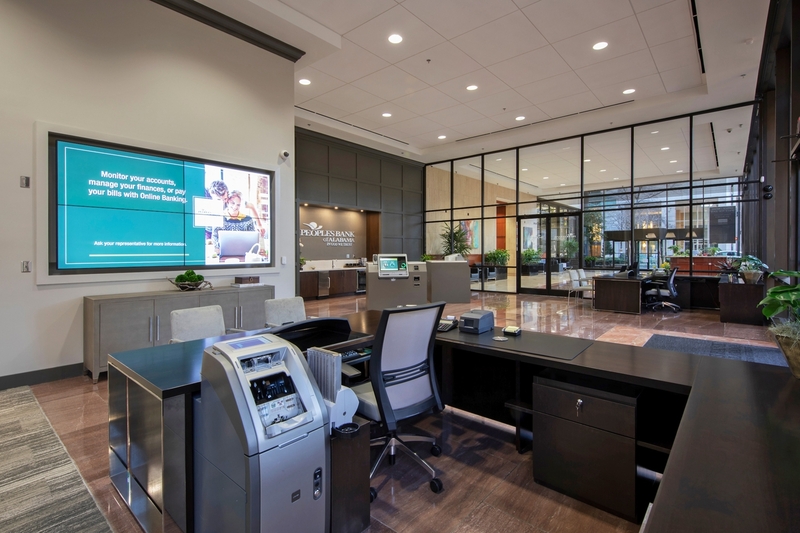 Customers are greeted with comfortable seating areas and a coffee bar while being supported with the latest in interactive banking technologies and spaces for private interaction with bankers. 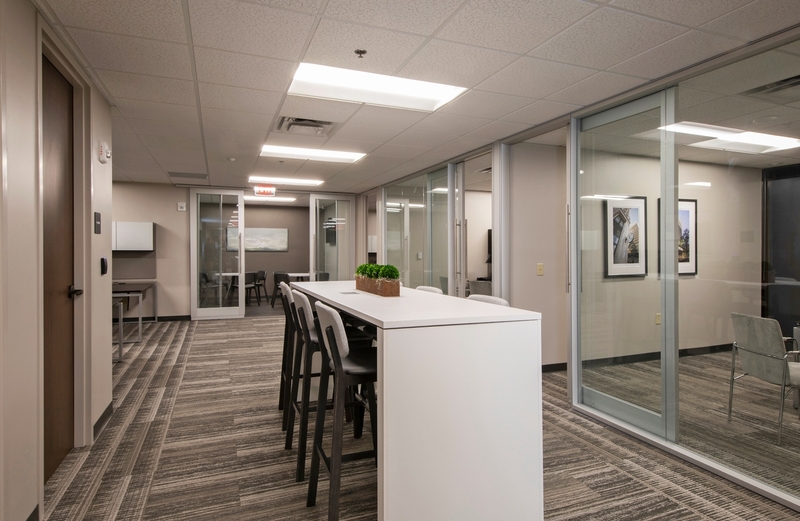 On the 8th floor, a modified open environment with individual offices and designated collaboration areas housing the Credit and Government Lending teams incorporates staff offices, a variety of open and closed collaborative workspace options, and a café. 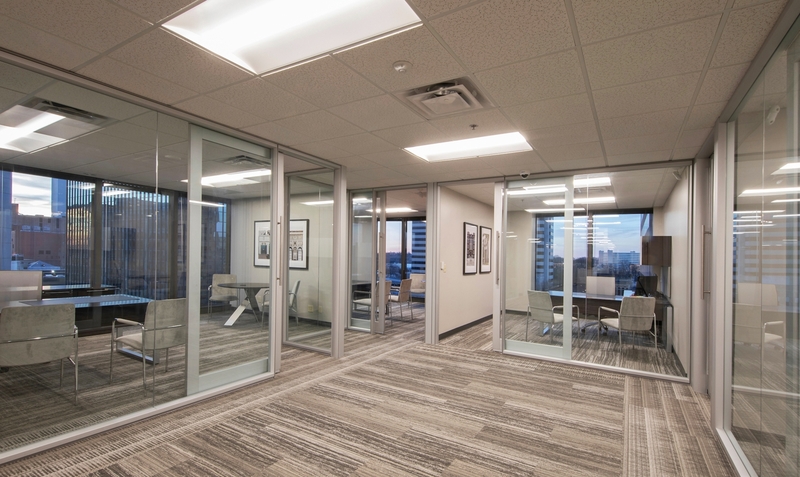 The use of sliding doors maximizes the available square footage in each room, while glass-walled offices provide views of downtown through the building’s glazed curtain wall.